A hymn found in a hymnal is not organ music; it is choral (vocal) music that the organist arranges so that the voice of the organ may be brought into play to lead congregational singing. For the last thousand years (since the pneumatic organ was first used in worship) choral music has been a major contributor to the fund of "classic" music with an extremely rich and lasting heritage, bound up, as it has been, with the ritual of the churches. Without a shadow of a doubt therefore, the hymns we find in our hymnals today are classic music, by definition. The history of choral music which was developed by various national schools and individual composers through various epochs since the Late Middle Ages is in fact fascinating to trace and sheds much light on how polyphonic music began, how it developed over the course of the next 10 centuries, and how it framed some of the greatest musical masterpieces ever written. Technology has provided many wonderful improvements to our quality of life and has allowed us to gain an advantage -- over the clock, over the limitations of our own brains, over space, over difficulties and obstacles of all makes and descriptions; it has made possible what was hitherto impossible; it also has become parent to a number of by-products. One of those by-products has been a noticeable shift in public interest from traditional music-making to amplified recorded sound. This has given rise to what seems to be a virtually insatiable hunger among the more computer-savvy portion of the population -- a hunger which can begin in early childhood as soon as a three-year-old can just manage to hold and operate a hand-held device -- for musical entertainment deliverable on an electronic screen. There are exceptions, of course, but the majority of the music listening public these days who are privileged to be exposed to the latest technology are accustomed to being consumers of music rather than participants or creators; a lot of music is going on around them, very often coupled with images on screens, but fewer are actually producing it. 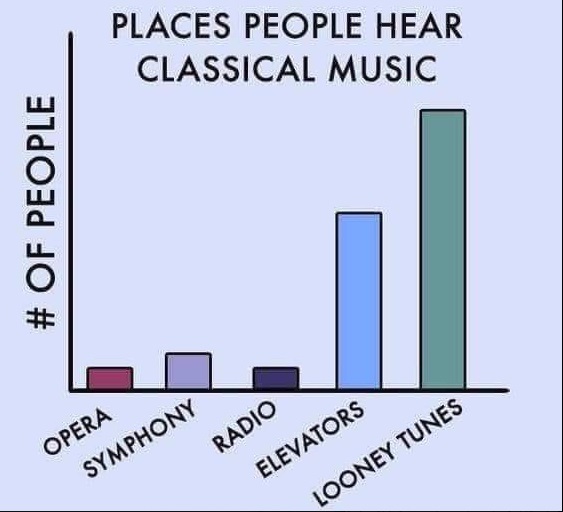 The most notable exceptions are certain world famous orchestras; they aren't buying scores any more -- their players are reading their parts from a tablet. This hunger for screens has had its effects upon the organ playing world also; some worship centers in lock-step with the latest technology have rounded up all their hymnals and shelved them in a box, evidently not realizing that hymnals are important symbols for worshiping congregations; even an untrained musician can look at the words and music in a hymnal and learn to follow melodic direction and rhythmic value, thus, hymnals actually teach music. The unbiased truth of the matter is this: much contemporary worship music today, due to technology, is based on recording instead of notation, and words on a screen give no musical information; this is not only endlessly confusing but it opens each song up to individual interpretation, thus no performance standards are able to be set. Without notation in front of them, a congregation has to sing the song by rote; this may work for something as familiar as the National Anthem, but for most everything else the congregation doesn't always know how the song is supposed to go or how to integrate the music and text. When a worship leader depends on projection to display hymn texts, they're bound to do their music making in a space outfitted with sufficient media, whereas hymnals allow the congregation to sing anywhere; they also make it possible for people to have easy access to the best songs. Preparation -- taking possession of the music by finding out next week's hymns a week ahead so people can open up their hymnal, refresh the words, and work on their part a little ahead so they can lend their voices -- is one of the ways music making becomes a worshipful activity. Hymnals never leave us vulnerable to a train wreck; technology, on the other hand, lets us down all the time -- and if a let-down like this should happen to the song leader right in the middle of a song or hymn, let's face it, they're sunk; with a hymnal however (unless some child has ripped the page out of the hymnal being used) we know the hymn we're looking for is going to be there; a hymnal is as helpful as the singer needs it to be, and, while there is no perfect hymnal, a well-crafted one also can be a reliable source of theological information. The simple tactile action of picking up a hymnal in the hands, finding the right page, and holding it up to sing grounds that person in time and space; feeling that weight in their hand engages them in this activity more than staring at a screen ever could; hymnals make the people work a little like this, and that's good for them. Screens are actually very difficult to follow; when we're forced to read a projected text, we can easily get lost in the colors, backgrounds, and movements, not to mention finding ourselves anticipating when the next slide will be advanced; when we're using a hymnal, none of that comes into play; everything makes sense because the words and music are right in front of us, thus we find that hymnals are not particularly distracting. There is rarely a good place to hang a screen, and in some of the larger places of worship beautiful organ pipe arrangements and stained glass baptistry are now masked by massive projection screens; the result can be a visual nightmare, especially in older spaces, whereas hymnals would preserve the aesthetics of the sanctuary. Hymnals also tend to give validity to the newer songs and hymns which publishers like to introduce to the ranks of hymnody; these newer ones are often defined by the company they keep, and they are often found sandwiched in the hymnal between more time-tested and familiar hymns on each side; congregations tend to go back to their favorite songs too often and find it easy to fall into a rut; congregations need to be stretched to learn unfamiliar songs, and they find this easier when using a hymnal. There is no visual permanence to a text on a screen; it's there one second and gone the next; hymnals however are symbols of consistency; they give life and breadth to the great songs of worship and demonstrate that what the congregation is singing is worth keeping around. Holding a hymnal in one's hand also symbolizes the fact that the voice of the congregation is the primary instrument in corporate worship; congregations watching screens are, frankly, at the mercy of whoever is sitting behind the computer, whereas a hymnal gives congregational singing back to the people. When financial concerns put the hiring of an organist out of reach, then perhaps a volunteer from the congregation might be encouraged to step forward and play from the hymnal; if at first it seems too difficult to sight read the hymns in 4 parts, then just the soprano and bass parts could be learned, and the congregational singing could be led that way. Playing just the hymn tune (top line) in octaves to lead worship singing from a hymnal has been successfully done before, so there's no reason to believe that anyone playing in 2 parts would be less successful. This is NOT thinking outside the box; it's thinking along the edges of the box [See blog, Thinking Outside The Box] -- and stirring the waters like this, by thinking along the edges of the box, is the nursery in which solutions are born.